Iodine intake is a complex subject which you’ll find covered all over the internet. The aim of this blog is to provide a brief outline of the possible dangers of an iodine deficiency (hypothydroidism). Additionally, we’ll look at some ways in which this deficiency can be avoided through diet and supplementation. So, should we revert to eating animal products? The U.K. NHS recommends 1 Iodine an adult daily intake of 0.14 mg. This equates to 140 micrograms (also shown as 140 µg or 140 mcg). 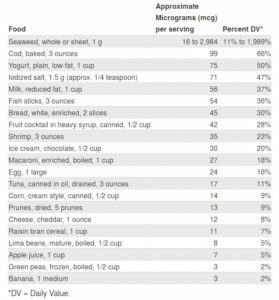 The U.S. NIH ( National Institutes of Health – Office of Dietary Supplements) recommends 2 a slightly higher daily figure of 0.15 mg (150 µg/mcg). 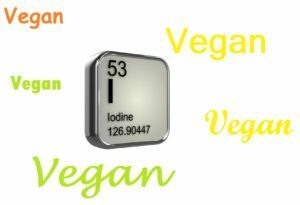 Oddly, the (USDA’s) National Nutrient Database 3 , which lists highly detailed nutrient content of a vast range of foods, doesn’t list the iodine content of foods or even provide lists of foods containing iodine. I think that a part of the reason for this is the wide variability between iodine content in foods in different locations around the world. The general consensus is that the foods containing most iodine are sea vegetables/seaweeds, followed by fish, dairy products, meat and eggs, then fruits, vegetables, legumes, nuts and seeds. As can be seen from the above chart, seaweed is a source which can easily provide sufficient iodine on its own but, importantly, consuming too much iodine-rich seaweed (particularly the likes of kelp/kombu) can be dangerous 5 6 7 as it may cause iodine toxicity, whilst other forms of seaweed (for instance, hiziki and paddle weed) absorb poisons like arsenic 8 . Plant foods (e.g. cranberries, potato skins, prunes, bananas, corn, etc) provide some iodine but it’s safe to assume that they provide insufficient on their own. So eating a vegan/WFPB diet presents something of a challenge unless you like seaweed, take an iodine supplement (for instance, the Vegan Society’s Veg-1 9 ) , or add iodine salt 10 11 to meals. Some people are not happy about taking a general supplement, such as Veg-1. Others are not happy about using iodized salt, because they don’t want to add salt to meals. And yet others don’t like the taste of seaweed. However, if you’re going to eat a WFPB diet, you’re going to have to consider one or more of the above non-animal sources of iodine if you want to avoid the dangerous issues associated with iodine deficiency – something of extreme importance for pregnant women 12 13 . Well, technically, this is not quite accurate. As Dr Greger points out 14 , what happens is that you can have a problem if you eat goitrogenic foods 15 , (e.g. raw cruciferous veg, some starchy plants, some fruits and soy products). However, this may be the case if, and only if, you have a pre-existing iodine deficiency. So those of us with no iodine deficiency needn’t worry too much about this – unless, of course, you’re eating several kilos of raw sprouts, broccoli or cabbage a day! 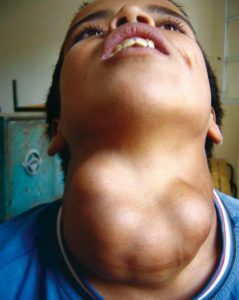 There are other lifestyle and environmental factors which may produce goitrogenic effects. These include getting insufficient supply of dietary selenium 16 , smoking 17 , certain cosmetics and pollution from heavy metals 18 , and high levels of emotional stress 19 . The medical profession, having a self-confessed lack of expertise in nutrition 20 , tend to prescribe pharmaceuticals for anyone showing an iodine deficiency 21 . 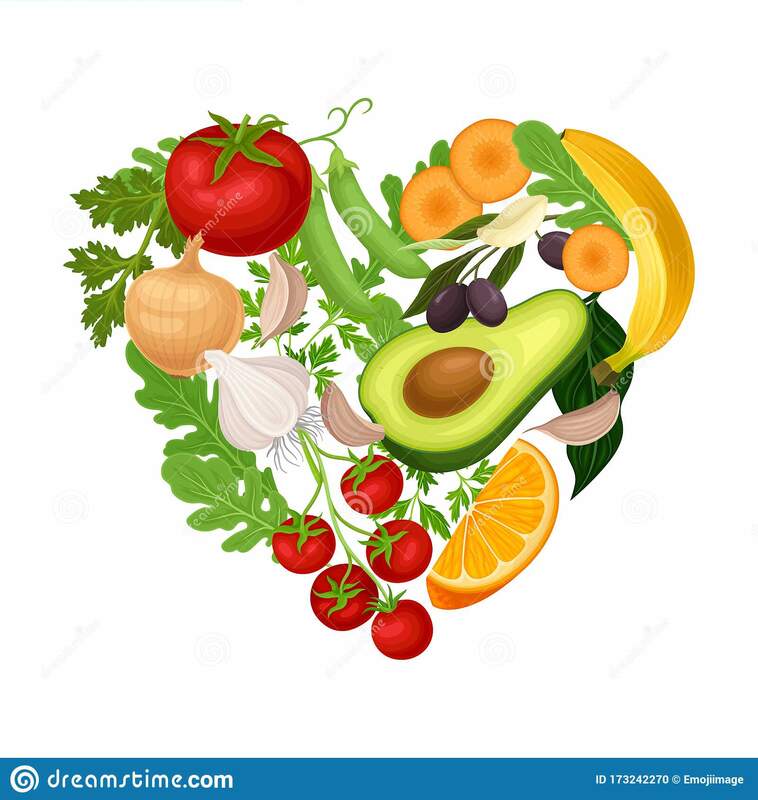 However, research indicates that pills and potions are unnecessary if dietary changes are made, which would include all the food groups – including, meat, dairy, fish and eggs – along with veg and fruit 21 . There are those who look at things with a myopic viewpoint 22 . The result of this is that one fact about something that supports a person’s particular agenda means that they support that viewpoint regardless of any additional alternative facts. This is very much the case with regard to iodine. There are so many problems with animal foods 23 24 25 that it would be careless to recommend eating them just in order to ensure that your conventional diet provides you with enough iodine. The obvious alternative is to take some form of iodine supplement, or include appropriate quantities and types of seaweed, to a diet which consists wholly or largely of plant foods. As a final thought, what about administering iodine through the (unbroken) skin? 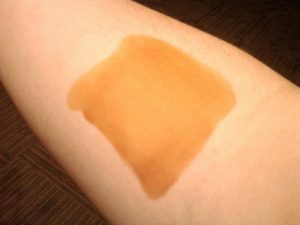 Putting a small amount of tincture of iodine on your skin is a rule-of-thumb check often used to see if you have an iodine deficiency. You apply the iodine to any part of your body (ideally arm, stomach or thigh) and see how long it takes to disappear. If the yellow stain it makes disappears quickly, then it’s likely you have a deficiency; if it lasts for more than 8 hours or so, you’re unlikely to have a deficiency. But is there any research that can tell us whether or not applying iodine tincture to the skin will give us all the iodine we need? There are a few relevant studies. One 2015 study 26 which tests providone, the water-based iodine skin disinfectant. The researchers found that an unexpected result of repeated treatment with providone is that it does increase the body’s store of iodine. Another article 27 lists research showing that a small percentage of iodine tincture applied to the skin is, indeed, absorbed into the body and finds its way to stores within the thyroid gland. I use iodine tincture 28 to test my bodily levels of iodine. However, I don’t recommend that it’s used to ‘feed’ your body with iodine. Neither do I suggest eating animal foods or adding iodised salt. My preferred route is to either consume small quantities 6 of wakame seaweed or take an iodine supplement 29 . Previous Previous post: How Much Nutrition Training Do Doctors Have?